Could Broncos trade for Nick Mullens to join Rich Scangarello? Nick Mullens roll-out. Credit: Kirby Lee, USA TODAY Sports. Case Keenum isn’t the future of the quarterback position with the Denver Broncos. John Elway said so himself after the 2018 season. And, even though Keenum will be the starter in 2019 — due to his massive contract — the Broncos will need to add to that quarterback room likely in free agency as well as in the NFL draft. With Rich Scangarello coming from the San Francisco 49ers, who have Jimmy Garoppolo cemented as the starter, and backups C.J. Beathard and Nick Mullens being coached up by him recently; could Scangarello and the Broncos try and trade for one of those backups? That’s what the Mercury News first asked last week. Currently, the Broncos quarterbacking situation is Keenum at No. 1 and Kevin Hogan is the backup. But, Hogan has played in only eight games, starting one, and saw zero action in 2018 with Denver. He was simply the emergency option the team found out of desperation and not an option going forward as anything other than third-string QB. Mullens, if Denver wanted to trade for him, would be a legitimate backup quarterback who not only has experience last year, but is also close with Scangarello. 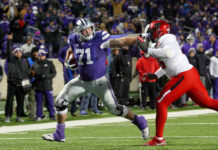 In fact, John Lynch explained how Scangarello convinced him to let them bring Mullens in for one of their 30 allowed workouts after the QB went undrafted in 2017 and how the talent evaluators were extremely impressed by what Mullens could do on the field. 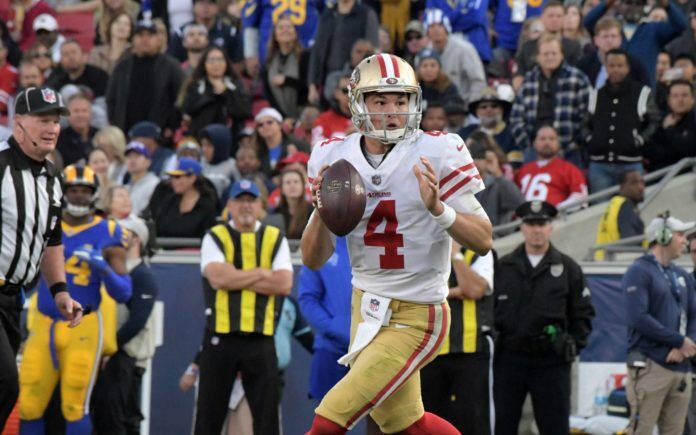 Last year, after Garoppolo was injured, followed by Beathard, Mullens was thrust into the starting role after being the 49ers’ third-string quarterback. Mullens played well, going 3-5 as the starter, with 2,277 passing yards, 13 touchdowns and 10 interceptions. Broncos fans remember him in the crushing defeat to San Francisco in which Mullens went 20-of-33 for 323 yards with two scores and one interception. George Kittle was his go-to guy on that Sunday, and Kittle’s 210 receiving yards set a 49ers team-record for a tight end in a single game. Scangarello has already helped Mullens from Day One, discovering him and helping him realize an NFL career, and it would make sense if the Broncos new offensive coordinator asked the front office to go after the young quarterback in a trade. Mullens will already know the offense, making the team transition a relatively easy one for the young QB. After the Broncos were initially blocked from interviewing Scangarello, they were allowed to do so, making him just the latest connection between the two franchises. In 1994, Mike Shanahan was the 49ers’ offensive coordinator before coming to Denver as the head coach. Lynch played for the Broncos before retiring and becoming the 49ers’ general manager, and then he hired away Adam Peters from Denver after 2017. So, the potential for the two front offices to work together on a deal for Mullens is there, too. 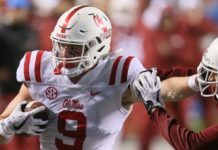 Even if the Broncos were to trade for Mullens, the expectation is they will draft a quarterback as well. Drew Lock is the hot name, but there are other options like Daniel Jones, Kyler Murray and even Brett Rypien. 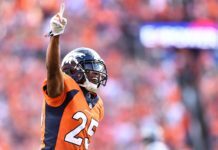 Certainly, it’s an exciting time for Broncos fans in terms of their team being reconstructed in a hurry as the team looks to make the playoffs for the first time in four seasons in 2019.